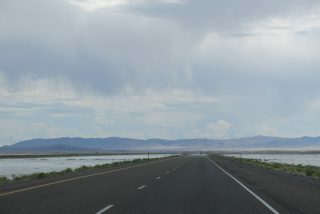 Traversing Bonneville Salt Flats along Interstate 80 east through the Great Salt Lake Desert in Utah. Photo taken 08/05/13. I-80 bee lines across the Bonneville Salt Falts from near Bonnesville Speedway to Knolls. 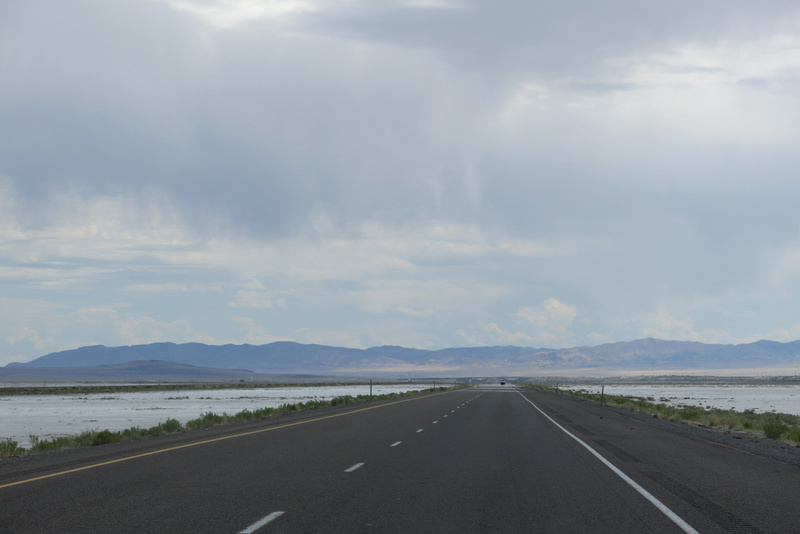 Speed limits along the westernmost 99 miles of Interstate 80 in Utah were increased to 80 miles per hour in fall 2013. The increase was a part of 289-mile addition to previously posted 80 MPH zones across the state along I-15. 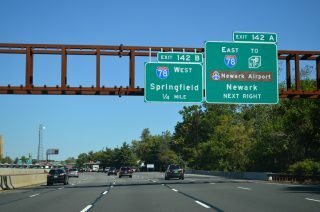 Approaching Interstate 78 along the Garden State Parkway northbound at Union, New Jersey. Photo taken 10/05/14. 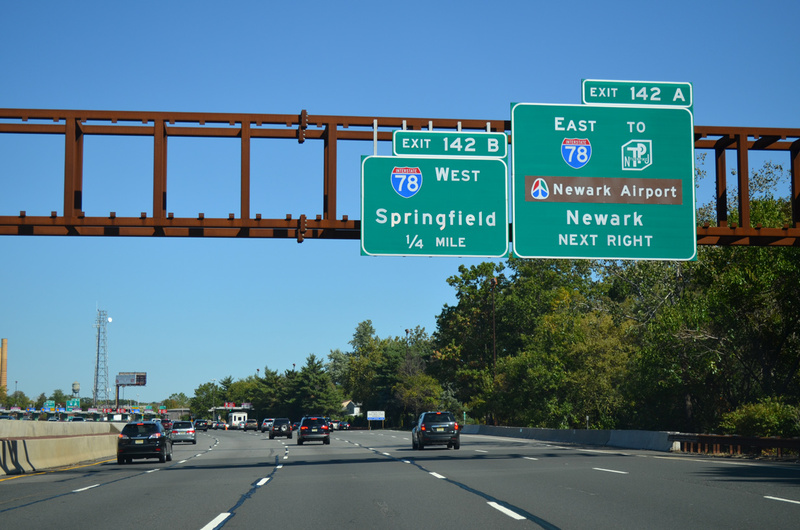 $150-million in road work took place at the cross roads of Interstate 78 and the Garden State Parkway between April 2008 and September 2011. Work added two new flyovers to complete full movement between the two busy freeways.